Nott makes an important advance in balloon design with the the first pumpkin balloon. 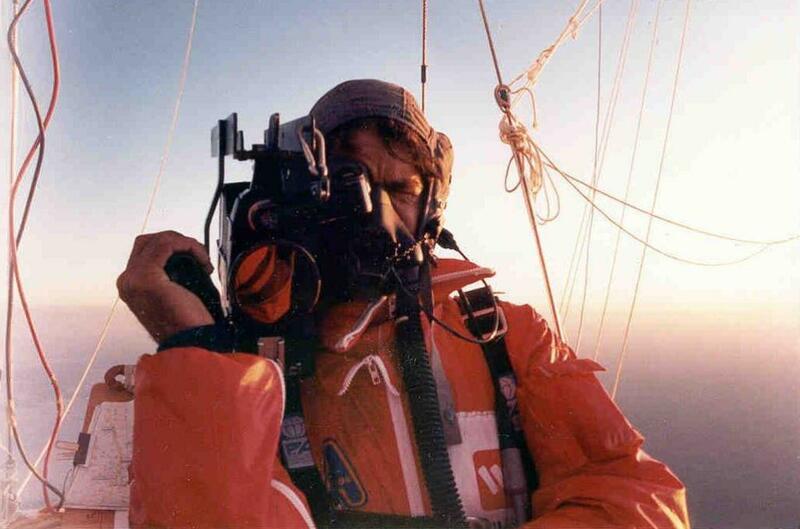 Nott was the first person to build and pilot a “pumpkin” balloon, making the first crossing of Australia [Perth to Broken Hill]. 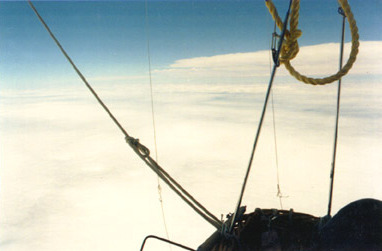 NASA is using the pumpkin concept for large scientific balloons with dramatic current success. 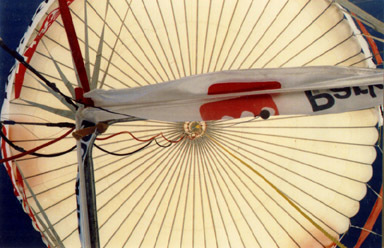 The flight involved other significant innovations include a unique inflated hangar. Nott considered it important to fill and prepare the balloon in a hangar to allow calm and meticulous preparation. But no hangar tall enough was available on the West coast of Australia. So this novel design was built, seen here at Pearce Air Force Base, Perth, Western Australia. Nott next morning out over the Ocean, the Australian Bight. 18,000 ft above the Australian Bight and 80 miles per hour! 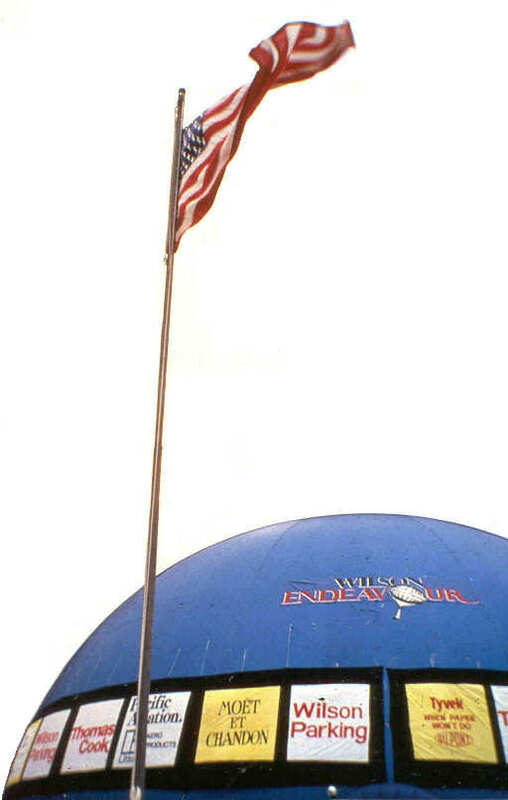 Nott’s eyeview looking directly up at the fully pressurized balloon. This special envelope was sanctioned by the Australian Post Office and carried in the pumpkin balloon. Sunset over Australia. “During the first day” said Nott, “we flew 500 miles over the dangerously cold, shark-infested, stormy waters of the Great Australian Bight. But as the day ended, we crossed back over land at the eastern end of the Bight. Few experiences are more memorable than sunrise or sunset seen from an open basket above the clouds so we enjoyed an ideal combination, reaching safety and a perfect view”.